The Twin Flame Test - Have You Found Your True Twin? 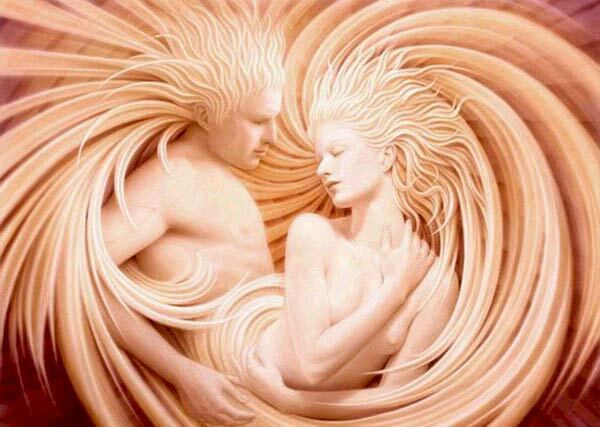 Home Have You Met Your True Twin Flame? Have You Met Your True Twin Flame? Are there commonalities between you in terms of personality, life experiences and so on? When you look in this person's eyes - or look at their eyes in a photo - how do you feel? Did you experience an intense connection from the moment you met this person? Have you ever had this person interacting with you "non-physically", i.e. "seeing" them during meditations, having an idea/image of them popping up in your head, suddenly feeling as if they're near even if they're not, sensing what they'd feel or think about something you're experiencing...? How would you describe your connection? Do you share a passion or a "higher calling" in life? Shared values of what's important for the planet, for society, for human kind? None of the above - surely these things are made up? Have you had exceptionally vivid dreams about this person before/after you met? Even, astral projection episodes where you encountered them? When you met this person, were there strong inner similarities between you? Did you feel that this person was like you in some important ways? How does this connection *feel* to you, compared to other people you've known? Would you recognize yourself in the following statements: "It feels like we've known each other since the dawn of time. It's like he/she has always known me and we will always know each other"
Yes, so much! It's kind of eerie but in a good way! How do you interact if there are challenges between you? Have you ever experienced "telepathy" with this person? Hearing their voice in your mind, feeling them touching you remotely, seeing visions of them or feeling their feelings? How do you feel when you're together, just the two of you? Looking back at your earlier life, before you met, do you feel that you encountered people who "mirrored" this person's traits in some way? How correct is this for you, on a scale from 1-10, where 10 is most correct and 1 is least correct? "After I met this person, things progressed and opened up really quickly, almost as if it was beyond our control and happening out of its own volition - mostly in a positive way"
How have your spiritual experiences changed since meeting this person? Does it feel like on some level, you've been waiting for this person your whole life? How has your life changed since you met this person? I'm not sure if anything has changed much... Maybe I don't understand the question? When you met this person, how did it feel? It felt good, but it took a while to "warm up"
Next articleAre You The Masculine Or Feminine Polarity Twin?